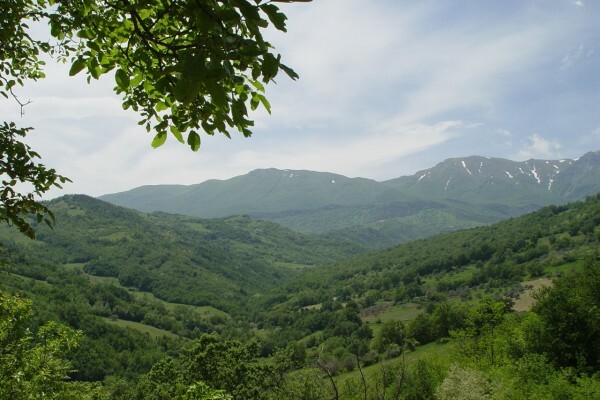 In the Abruzzo region surrounded by the blue Adriatic Sea and the mysterious tops of the Gran Sasso mountain chain lies an untainted part of Italy. In a lovely landscape with olive tree and grapevine covered hills, small rivers and winding roads leading to picturesque villages, and the Italians live their lives as they have done for centuries. Here in the Pescara province it seems that time has been standing still. Following the old traditions and at a relaxed pace the most delightful wines and tasty olive oils are produced. Pure Italy! In the spring of 2005 we left Holland. In Penne we have made our dream come true, a Bed and breakfast Rocca di Sotto. In the village of Roccafinadamo , at the foot of the Gran Sasso National Park we bought and restored our historic farmhouse. The old paved road leading you downhill to the river as is named Rocca di Sotto. Under the old olive trees we have created 15 campingplaces. 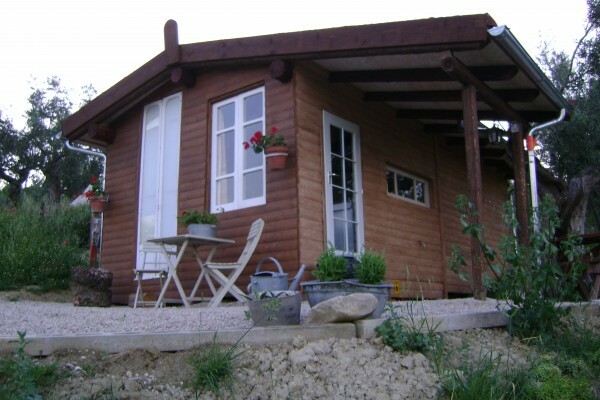 And we have our two cosy B&B apartments, rent a tent or a Chalet to enable you to enjoy Abruzzo. Are you looking for the pure Italy, in a lovely environment not spoilt by mass tourism, and with space to rest. At Rocca di Sotto you are at the right adress. We look forward to welcoming you at Rocca di Sotto. Please don't expect a minibar, color-tv with moviechannel or jacuzzi in our Bed en breakfast-rooms. The luxury of Rocca di Sotto consists out of a beautiful view over the mountains, relaxing on the terras under the walnuttree and enjoying of tastful and lovely products of the Abruzzo region. Our two bed & breakfast rooms have there own staircase. The rooms are simple, but have the needs for a nice and quiet stay. The small Italian bathroom has a bath, a shower, a sink, and a toilet. The bathroom will be shared with the other guests when the other room is booked as well. In the morning we will serve you a tastfull Italian breakfast made of products from the region, for instance "Pecorino of Farindola". During the day we also have cool drinks available or a nice glass of wine from the zone. On Rocca di Sotto relaxing completely is easy with the possibility to discover Abruzzo! Low season and during the high season Abruzzi barbeque. No experiences yet with B&B Campsite rent-a-tent Rocca di Sotto. Be the first! 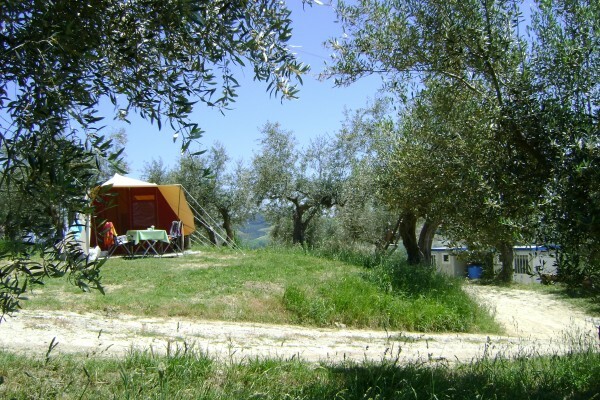 Did you stay in B&B Campsite rent-a-tent Rocca di Sotto? Let us know what you thought about it and help others to make the right choice! * I confirm having stayed in B&B Campsite rent-a-tent Rocca di Sotto. 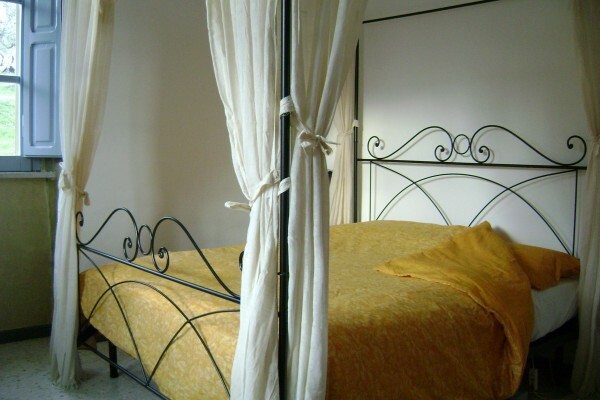 Find other bed & breakfasts in Penne or all bed & breakfasts in Abruzzo.